According to a report from Bloomberg, Apple and the Irish government are establishing a fund, and will jointly appoint a custodian to supervise the money. An assortment of appeals are pending, and are expected to take years to resolve. Apple was supposed to have paid the bill in January, but appeals and a lack of a suitable escrow account have held up the process. It is still not known when the payment will be made. 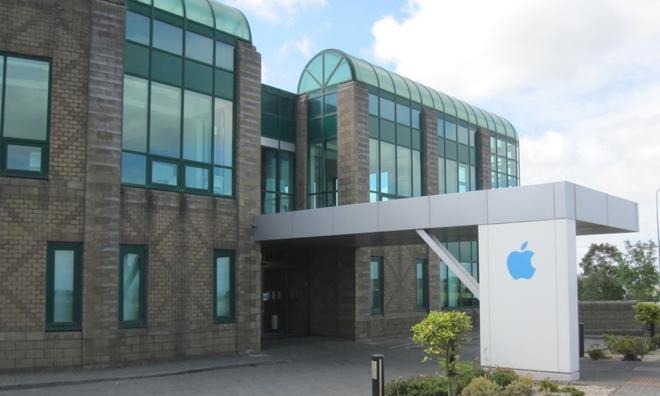 The investigation into Apple's tax affairs in Ireland ended in August 2016, with the Commission claiming tax rates on Apple's European profits were illegally low, down to 0.005 percent in 2014 and 1 percent in 2003. Ireland was accused of granting "illegal tax benefits" to Apple, and had been "reverse engineered" on the fly to guarantee a minimal tax bill as time progressed. In December, Apple CEO Tim Cook and other high-level executives were invited to Ireland to discuss the ruling and future action. Cook declined to attend, with Apple citing the legal complexity of the case behind his refusal, a move that Irish politicians considered to be a snub to the citizenry of the country. Apple, Ireland, and reportedly the U.S. Government are all contesting the ruling, with the Irish government "fundamentally disagreeing" with the findings and resisting the back tax repayments. Apple claims the European Union "took unilateral action and changed the rules, disregarding decades of Irish tax law, U.S. Tax law, as well as global consensus on tax policy." "The European Commission's case against Ireland has never been about how much Apple pays in taxes, it's about which government gets the money," said Apple spokesman Josh Rosenstock. "The United States government, the Irish government and Apple all agree we've paid our taxes according the law. Since virtually all of our research and development takes place in the United States, according to the law, we pay the majority of our taxes in the U.S."
Apple CEO Tim Cook has also gone on record in opposition to the ruling, and has amplified the company's position on repatriation of the overseas cash at the same time. "We've said at 40 percent, we're not going to bring it back until there's a fair rate. There's no debate about it. Is that legal to do or not legal to do? It is legal to do. It is the current tax law," said Tim Cook after Lew's filing with the EU. "It's important for everyone to understand that the allegation made in the E.U. is that Ireland gave us a special deal. Ireland denies that."